We are a leading online provider of stylish customizable wristbands. We offer amazing high quality silicone products. This is particularly important for people with latex allergies. 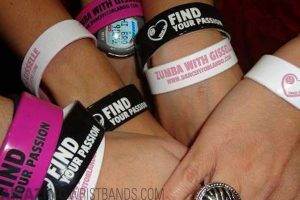 Our wristbands look lovely and are very comfortable to wear everyday. We offer a wide variety for you to choose from, including stunning colors to inspirational fonts and powerful messages. That is one of the things that makes us special. Our most popular item types and styles include ink-filled deboss, debossed, embossed, colorized emboss, screen printed, writable wristbands, adjustable bands, silicone rings, LED bands, USB bands and more. We offer customizable designs, so whatever you want to convey, you can do so easily with your own inspirational personalized text. On selecting inverted screen printed and dual layer bands you can have swirl or segmented style ink on your messages. 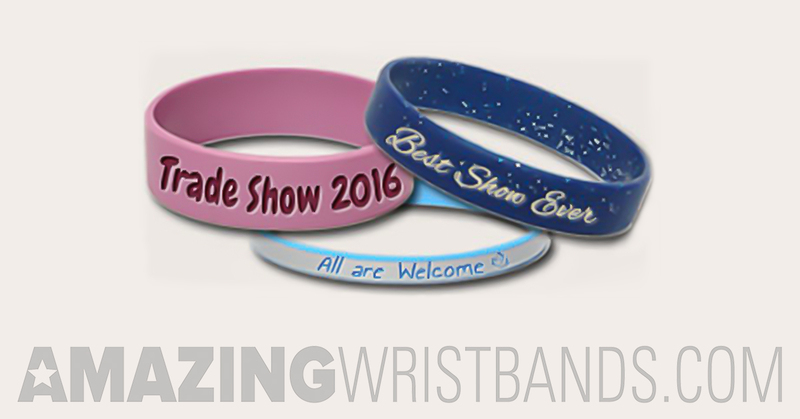 All trade show wristbands from AmazingWristbands.com are made of long-lasting, comfortable, latex-free, and non-allergenic silicone. Here you can create customized wristbands with your own personalized message. Planning to exhibit at trade show? Why not promote your company by handing out custom wristbands to attendees. It is an inexpensive way to market your company and its products.